Small business accounting. Financial documents and pen on an office desk. You’ve finally achieved your dream of opening your own small business. And though it’s a roller coaster ride most of the time, one thing you’d like more consistency in is with your business finances. Knowing how much you have coming in — and going out — each month would just make everything easier for you. In this post, we’ll tell you everything you need to know about how to do small business financial management the right way. From understanding why a great invoicing strategy matters to keeping pace with your profit goals, read on to understand how to get more out of your business. The first rule of small business financial management? Make sure to avoid mixing your personal and business funds. We understand that sometimes, you’ll need to pull from your personal accounts in order to take care of unexpected business expenses. However, that doesn’t mean you should co-mingle your accounts. First of all, depending on the line of work you’re in, doing so might be illegal. But even if it’s not, it can make figuring out your taxes — and your financials in general — a real nightmare. Another important step in understanding how to manage a small business? Get to work as soon as possible on developing a consistent overall invoicing strategy. You can’t afford to get paid late or to get paid in an amount that’s far less than what you’re actually owed. We strongly suggest going with a digital invoicing system. This is because there are lots of hidden costs — and the potential for human error — involved with manual invoicing. Inaccurate bookkeeping doesn’t just make it tough for you to understand where your money is really going. It can also have a very real financial cost to our business. It’s easy to keep track of larger expenses, like employee salaries and benefits, raw materials, and even your set advertising budget. But where do lots of people run into trouble when managing a small business and understanding their financials? It’s those every day, smaller expenses that can easily start to add up. How much are you paying in a month for your office supplies? What about client lunches? What’s the cost of maintaining any equipment you might have? And if some of your equipment breaks or a shipment is delayed, have you built in an emergency fund? Things can quickly get out of control if you don’t track every part of your business spending. Itemize everything. Above all, we strongly suggest hiring a professional bookkeeper or at least investing in bookkeeping software. 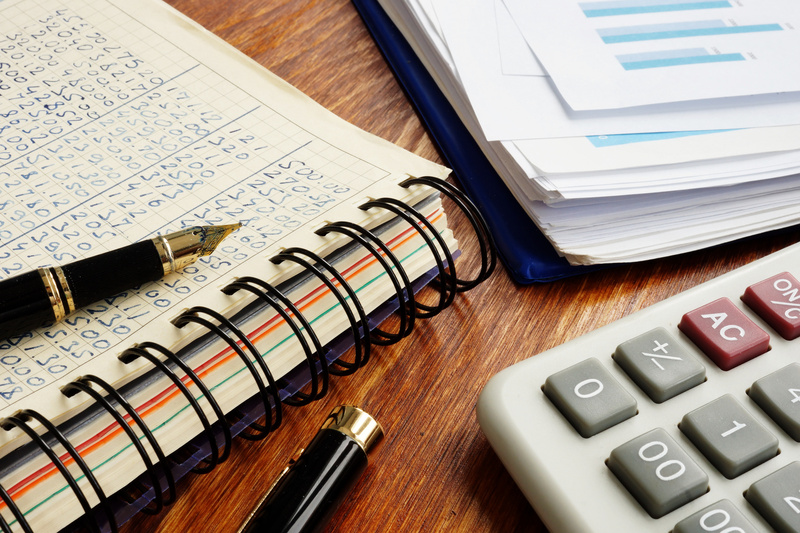 This will give you a much more accurate picture of your small business’s finances. Remember to evaluate both your fixed and your variable costs. While it’s possible to plan for some things, you can’t plan for everything. Additionally, even figuring in smaller details like inflation and a rise in vendor costs can help you to avoid running into financial trouble down the line. Another key element of small business financial management? You need to evaluate how well you’re keeping pace with the projections and financial goals that you set out in your business plan. Especially if your borrowed money from investors or took out a loan, it’s important to understand where you are in terms of making a profit. If you’ve already achieved your first set of goals, now is also the time to create new ones. Identify opportunities for growth. Consider how and where you could extend your market. Evaluate your finances, and get a better understanding of the things in your business that are making you money, and the things that aren’t doing much to make a profit. Make cuts where you can, and invest more in those money-making sectors. We also suggest creating a financial report that you can deliver to your investors. Even if you’re still a bit short of your financial goals, showing your investors that you’re on top of things and still working towards hitting your numbers goes a long way. Feel like your finances just aren’t heading in the direction you’d like them to be? Perhaps you’ve already met your goals, and are growing at a rate that feels a bit faster than you can responsibly manage. No matter which side of this equation you’re on now might be the time for you to start thinking about working with a small business financial advisor. They’ll help you with a variety of tasks, including helping you to understand what your business is truly worth and even setting up a business succession plan. Additionally, they’ll assist you in evaluating your taxable income, creating an accurate business valuation, and even making sure that your employees have a good benefits plan. Especially if you’re feeling a bit confused and overwhelmed when it comes to getting an insurance plan for your company? A financial advisor can help you to make the right choice. We know that, especially once you start turning a profit, it can be incredibly easy to overspend. You might feel like you can start splashing out on expensive client dinners. Maybe you want to invest in the latest technology — even if you don’t yet have a need for it. You might even want to redo your office or relocate to a swankier space altogether. However, as tempting as all of this sounds, doing so will only land you and your company in some serious hot water later on. Always live below your means when it comes to your operating expenses. Additionally, make it a priority to understand where you can make costs. Instead of traveling across the country to attend conferences and stay at expensive hotels, see if it’s possible for you to video call in. Instead of paying for the services you need, is it possible to set up an exchange of services with another business in your area? Finally, make sure that you have a strong understanding of the things that are truly worth investing in. Isn’t it smarter to put that extra cash into your advertising strategy than to repaint your office? If you need business equipment, is it better for you to lease it than to by it right now? Can you create your own business documents for the time being using a template online? These are all great ways to cut expenses without having to sacrifice quality. Another part of successfully managing a small business and its finances is thinking hard about applying for a loan. Of course, we’d all love to live in a world where we can bring our business ideas to life without having to take on any debt. But that’s not the reality for countless businesses. The trick is to get smart about understanding the type of business loan that will work the best for you. It’s also about making sure you have a total grasp on the exact terms of the loan. For example, what are the fees associated with it? How long will you have to pay the loan back in full? Can you truly afford the interest rate? Above all, make sure that you’re not borrowing more than you actually need to get your business off the ground. All that will end up doing is trapping you in a cycle of debt that you feel like you just can’t get out of. Borrowing is a necessary evil. Just make sure you do it the right way. We hope that this post has helped you to better understand some of the most important things to take into consideration when it comes to your small business financial management. Remember to live below your means, avoid mixing personal and business financials, and hire professional help to get a fresh perspective. Looking for additional financial advice for both your business and your personal life? Want to understand where your money is actually going — and how you can keep more of it? From understanding where to look for financial advice to knowing how to create a budget, keep checking back with our blog for more money tips you can’t afford to miss out on.